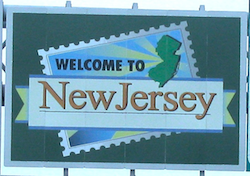 After a delay of more than a week, the New Jersey Division of Gaming Enforcement has confirmed that Canadian online-gambling giant Amaya Gaming has received a transactional waiver allowing Amaya to operate its PokerStars and Full Tilt brands in New Jersey, the most populous of the three US states that currently authorize real-money online poker. The transactional waiver comes in the form of the removal of a prior two-year suspension of the application by formal PokerStars parent Rational Group US to offer services in New Jersey as the software partner of Atlantic City’s Resorts Casino. The application was continued under Amaya’s ownership when that company purchased the PokerStars and Full Tilt brands last year. The New Jersey DGE published the results of investigation on Friday, over a week after Amaya itself had issued a press release announcing their conditional approval. The documents released by the DGE were dated September 30th, 2015 and signed by DGE director David Rebuck, but were delayed due to the complexity of the largest report, a detailed look into the ownership structure of Amaya. 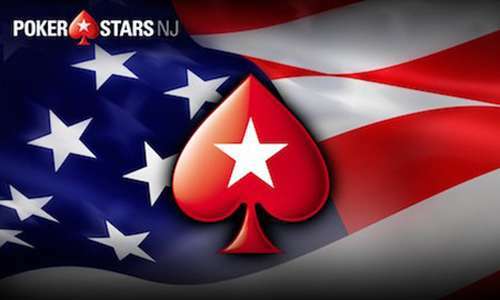 That examination was intended to ensure that no prominent officials of the former Rational/Oldford-owned PokerStars or of the original Full Tilt will continue to be with Amaya once its Stars-branded operations commence in New Jersey. Indeed, the DGE publication of the order announcing the removal of the two-year application suspension and the granting of the operational waiver included the condition that four current Amaya executives who transitioned to the company as part of its acquisition of PokerStars and Full Tilt must be terminated before January 31, 2016, in order for Amaya’s PokerStars operations to continue in New Jersey. That “good character, honesty and integrity” appears to be based solely on the four individuals being part of PokerStars or Full Tilt during that period between 2006 and 2011, when Stars and Tilt and other companies offered their poker services to US players, including New Jersey residents. According to the full investigative report, however, the DGE looked into the background of 32 current Amaya executives and management employees who were deemed to have ongoing roles prominent enough to warrant preliminary investigation. The DGE also investigated a reported 59 other lower- and middle-level employees who were brought forward from their initial roles with PokerStars, Full Tilt, or Pyr, the independent software entity responsible for the PokerStars operation for more than a decade. The full 89-page investigative report identifies four current Amaya executives who the DGE has ordered be terminated by the end of January. However, the report does not explicitly state that these are the same four people who the DGE says must be terminated in the next four months. Three of the four, however, have summaries included which show their “involvement in the business activities of the PokerStars Entities” during the gray-market period of Stars’ former US operations. Israel Rosenthal, the current COO of Amaya Holdings. Rosenthal also serves on the executive board of other Amaya entities. Rosenthal is described as a “longtime friend of the Scheinberg family” and is likely the person whose ongoing participation with Amaya caused the greatest concern to the DGE, assuming these four people may be the same four ordered banned by the DGE. Rosenthal was the former Director of Operations of former PokerStars ownership entity The Rational Group. Rosenthal also had a small ownership position in the original PokerStars; he received 225,000 Amaya stock options as part of Amaya’s 2014 acquisition of the company, along with an undisclosed cash payment. Charles Fabian, current CTO of PokerStars NJ. Fabian came under DGE scrutiny due to his long-time involvement with the original Full Tilt, for whom he worked in various software-development roles since 2004. Serge Bourenkov, current General Manager of Amaya Software, the re-branded Pyr software entity that stood behind the Stars offering for a decade. Bourenkov’s possible New Jersey exclusion is not well-explained by the report, leading to some question as to whether the two groups of four people are the same. The full DGE report notes that although Bourenkov reports directly to Amaya CEO David Baazov (who was also investigated and cleared by the DGE), Bourenkov did not join Pyr until after 2011’s Black Friday indictments occurred. Bourenkov also received licensing by the Isle of Man’s Gambling Supervision Commission back in 2003. Amaya and any of its subsidiaries and affiliated entities shall not permit Isai Scheinberg, Mark Scheinberg, Pinhas Schapira, Yehuda Nir, Paul Telford, Paul Tate, Nelson Burtnick, Ray Bitar, Rafael Furst, or Chris Ferguson to serve or act as an owner, director, officer, shareholder, security holder, financial source, lender, employee, consultant, lobbyist, intermediary, independent contractor, advisor, agent, or representative of Amaya or its subsidiaries and affiliated entities, in any capacity, whether directly or indirectly, whether by formal contract or by informal arrangement, without prior written approval of the Division. Amaya and its subsidiaries and affiliated entities shall immediately notify the Division, in writing, of any actions by Isai Scheinberg, Mark Scheinberg, Pinhas Schapira, Yehuda Nir, Paul Telford, Paul Tate, Nelson Burtnick, Ray Bitar, Rafael Furst, or Chris Ferguson to influence, suggest or communicate with any employee of Amaya or its subsidiaries or affiliated entities, with respect to the management or daily business activities or operations or with regard to any action or decision of it, its subsidiaries, and their officers, directors, or employees. The list is interesting for several reasons. Isai Scheinberg, Paul Tate, Nelson Burtwick, all of the old PokerStars, and former Full Tilt CEO Raymond Bitar were four of the 11 individual defendants facing criminal charges in the 2011 Black Friday case. Mark Scheinberg was unnamed but subsequently reached a settlement with US authorities that precluded possible civil charges being filed. Former Team Ful Tilt player-owners Rafe Furst and Chris Ferguson were not charged criminally bit were targeted with civil forfeiture actions, and both subsequently reached settlements with US authorities. Like Mark Scheinberg, the Israel-born Schapira was a former executive director of the old PokerStars, while Nir was the director former Stars media front Halfords Media UK. Paul Telford, also a former Stars board member, also served as Rational’s general counsel. The purpose behind the preemptive exclusion is obvious: to keep these prominent people with both deep industry knowledge with either the old PokerStars or Full Tilt operations from rejoining the Amaya operation in any way. However, as OPR honcho Chris Grove noted over the weekend, there’s a huge name missing from the list, that of former Tiltware LLC president and former Full Tilt board director Howard Lederer. Lederer’s omission from the exclusion list is, at the least, baffling. Like Bitar, Furst and Ferguson, Lederer was also sued by the DOJ for millions over his leadership role at Full Tilt. Lederer was sued for $42.5 million, though he settled in late 2012 for much less than that, upon which time he threw a lavish celebratory bash at his since-sold Las Vegas mansion. Yet there is no mention of him in the DGE’s latest offerings. If anything, the combination of the DOJ’s original settlement and Lederer’s exclusion here will refuel wide speculation that Lederer himself was one of several key government informants as the 2011 Black Friday indictments were being constructed. There aren’t a lot of viable explanations for Lederer’s omission by the DGE, but a complicated legal arrangement protecting Lederer’s future business arrangements just might have been one of them.